by Jan SpillerThe planet SATURN represents the urge to assume responsibility and to achieve a measure of control over one’s fate. Wherever SATURN is found in your chart, you will find what you most want and most fear. You won’t be able to achieve success easily in this arena of your life – the benefits won’t be handed to you on a golden platter. However, if you take responsibility for the hard work required for success, you will experience the benefits on a far deeper and more rewarding level than others who have not had to go through the challenges. 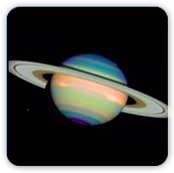 Key ideas for SATURN: inhibitions, limitations, character imbalances, feeling awkward, life lessons, karma, authority, time, teacher, discipline, perseverance, responsibility, achievement, self-preservation, patience, endurance, dedicated effort, reliability, guidelines, goal-orientation, realism, practicality, respect and accomplishment. 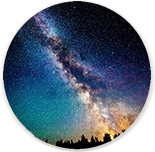 The challenge of SATURN: to accept there is an area in life in which you feel awkward, and to learn from personal experience how to best express yourself in that area. The challenge is to stay in integrity with yourself and let people know when they have violated your boundaries. The goal of SATURN : to recognize and value the conscious knowledge and authority you have gained through your personal experiences in working through inner and outer obstacles. Use to increase SATURN’S power in your life: the metal Lead; the stones Jade, Ruby, Onyx, Cat Eyes, Coral, Fluorite and Tiger’s eye. The planet SATURN represents the urge to assume responsibility and to achieve a measure of control over one’s fate.